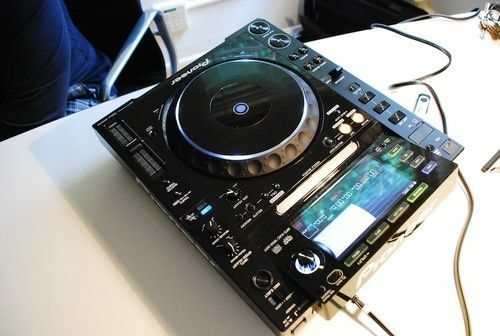 The direct-drive player which adopted the three-tiered cabinet. In order to banish an oscillating propagation from a cabinet, in Tt1000, it is considered as the three-layer structure which raised the plane precision and which sandwiched the aluminum board of 8mm thickness with special glass (thick and 7.5kg) 15mm. This has eliminated an unnecessary howling and reverberation. The hard glass with a wall thickness of 5mm it had hard glass, and the hardness which has too much and weight for innocent copper from the view of using the structure where not the method of absorbing an oscillation for a large material but the oscillations itself of an internal loss, such as rubber, are not received is adopted as a turntable sheet. The always uniform wait was applied also to the disk with curvature, and the mass variable scheme dynamic balance type tone arm which can change the effective mass of an arm according to compliance is adopted so that the performance of all cartridges can moreover fully be demonstrated. A mass uses a small super aluminum alloy with a big intensity for the straight type aluminum material which made the effective mass small, and the connector fraction with a head shell has become a semi integrated type of the it1 type side contact without an occurrence of the vibration accompanying shakiness etc. 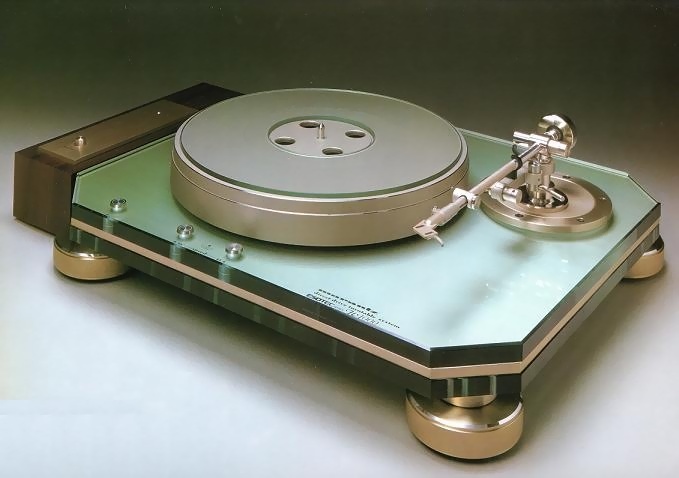 The newly developed high torque DD motor by the special order of a Marantz is carried in the phone motor which drives a heavy weight class turntable with a weight of 3.4kg. The starting torque by a powerful magnetic circuit can also be 1.6kg. A normal rotation is reached in 1/2 rotation after a start. Furthermore, in the rotation system, to a dynamic load variation, it is the moment of inertia of this heavy weight class turntable, and the method quartz-crystal nowait-lock organization of a perimeter detection has realized the high order accuracy and the exact rotation to static load variations, such as a drift. In order to secure the trances without the influence of an unnecessary oscillation, the Naked material of the aluminum which it began to delete from a big lump is used for the arm base. Moreover, it is the design considered so that the tone arm from 190mm of effective lengths to 230mm could be attached universally by rotating this fraction. And it is also possible to upgrade to a double arm using the subarm space provided for the left back. An air suspension type insulator with sufficient absorber capacity is adopted. 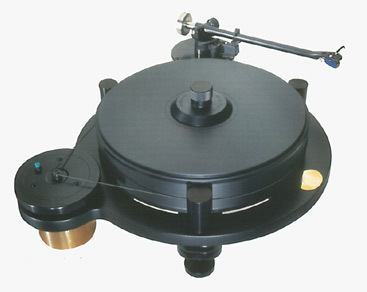 Height control is also free for this insulator, and the level criteria of a turntable can also do a setups correctly. The harmful hum by power-source induction is not received at all, but it is the “independent power supply stream composition” which can reproduce a low distortion. Piercing through a perfect unvibrated design, Power SW and the velocity switchover SW adopt the touch sensor scheme touched with a finger. Electromagnetic-brake equipment which controls a turntable by a stop button powerfully. The light emitting diode indicator lamp which displays a low-speed rotation.